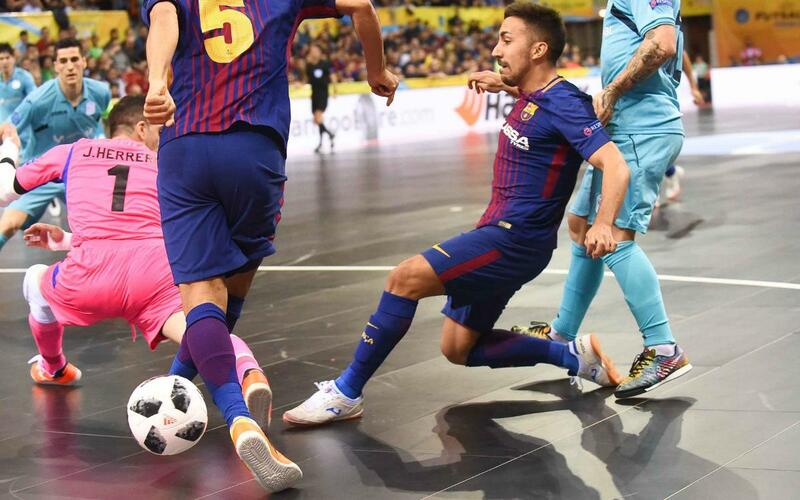 FC Barcelona Lassa have crashed out of the UEFA Futsal Cup. Luck just wasn’t on their side in Friday’s all-LNFS semi-final in Zaragoza, as two goals from Inter Movistar’s Carlos Ortiz overcame the Catalans, who had got right back into the game following Esquerdinha’s equaliser. In the first half, they had the chances but not the fortune as they did all they could to cancel out a fourth minute opener from a set piece. But the joy for the Barça supporters, many of whom were en route to Madrid to see the Copa del Rey Final tomorrow, was short lived. Just two minutes after levelling, they were behind once again and not even Andreu Plaza’s rush goalie tactics were able to produce a second goal. And so it’s Inter who’ll go on to defend their title against Sporting Lisbon in Sunday’s final, while Barça will battle for bronze (KO 5.00pm CET) against Hungarian outfit Győri ETO.